This is a post about pudding. I’m not going to start this post by saying that store bought pudding tastes awful. I’m not. Store-bought pudding can be awesome if you buy the right brand, like most everything else. What I’m going to say is that if you don’t want to go running out to the store you can make pudding from scratch almost effortlessly from home. It’s really not that hard and the results are downright amazing. It’s not that store-bought pudding is bad, it’s that home-made pudding is just so much better. I’m also not going to tell you to use “the finest quality vanilla” or “organic milk and eggs” because pudding isn’t supposed to be “organic”. Pudding is supposed to be simply delicious, with emphasis on both simplicity and deliciousness. It’s also supposed to be how stereotypical grandmas make it, and I’m pretty sure they don’t use organic milk. I wouldn’t really know though – I don’t have a stereotypical grandma. I don’t eat pudding that often. My parents are ironically against sugar consumption (how do I still have this website? ), or even the idea of sugar, so my attempts over the years at convincing my parents to purchase pudding have all failed. In fact, the last time I had pudding was two years ago at Disney World. That was one of the highlights of my trip. Pudding. Seriously. Oh, and the awesome theme park. The first thing we did when we got there was went by the grocery store where I stocked up on a “few” containers of pudding. Chocolate pudding, vanilla pudding, and those fancy pudding trifle things. It might seem strange to get so excited about pudding, but it’s totally different if you eat pudding less than once a year. You don’t know what it’s like until you’ve been in my shoes. When you haven’t had pudding for so long you grow to appreciate every spoonful. Not having pudding for two years, and not being able to find a place in Toronto that delivers pudding to the body intravenously, I finally realized that I could make my own pudding. I’m pretty surprised that it took me so long to realize that I could make pudding. Pudding always seemed to grow in plastic cups far from my reach, right next to the money tree. Now I can have it at home whenever I want and you can too. Whether there’s a shortage of pudding in your area or even if there’s a limit in your area on how much pudding you’re allowed to hoard, it doesn’t matter anymore. One of the beautiful things about pudding is that it can be made almost any time because it just requires the essentials. Milk, sugar, eggs, and cornstarch – perhaps a touch of vanilla, is all you need for amazingly creamy and decadent pudding. Add some love for the type stereotypical grandma used to make. 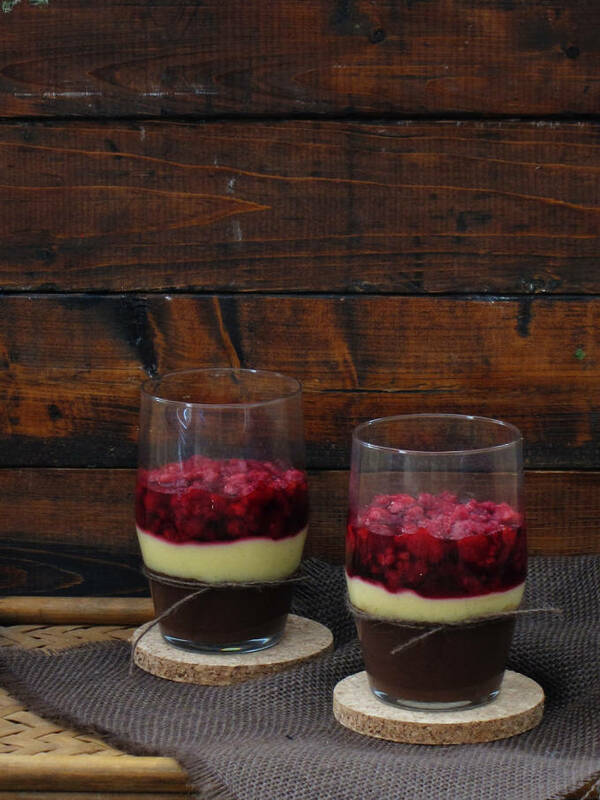 Rich, dark chocolate pudding and creamy, light vanilla pudding are irresistibly delicious, especially with raspberries. Whisk ½ cup of milk, cornstarch, egg yolks, salt, and vanilla in a bowl. Meanwhile, bring 1½ cups of the milk, the sugar, and the cocoa to a simmer (little bubbles) in a saucepan over medium-high heat. Gradually whisk the hot milk into the egg mixture (that means a thin stream - you don't want to heat up the eggs too fast). Return to the saucepan and cook over medium heat until thick, stirring frequently. Strain through a sieve and then pour into four cups, then place in the fridge. Cool for two hours. Whisk ½ cup of milk, cornstarch, egg yolks, salt, and vanilla in a bowl. Meanwhile, bring 1½ cups of the milk and sugar to a simmer (little bubbles) in a saucepan over medium-high heat. Gradually whisk the hot milk into the egg mixture (that means a thin stream - you don't want to heat up the eggs too fast). Return to the saucepan and cook over medium heat until thick, stirring frequently. Strain through a sieve and then pour into four cups, then place in the fridge. Cool for two hours. Combine all ingredients and let sit at room temperature for half an hour to let the raspberries release their juices. 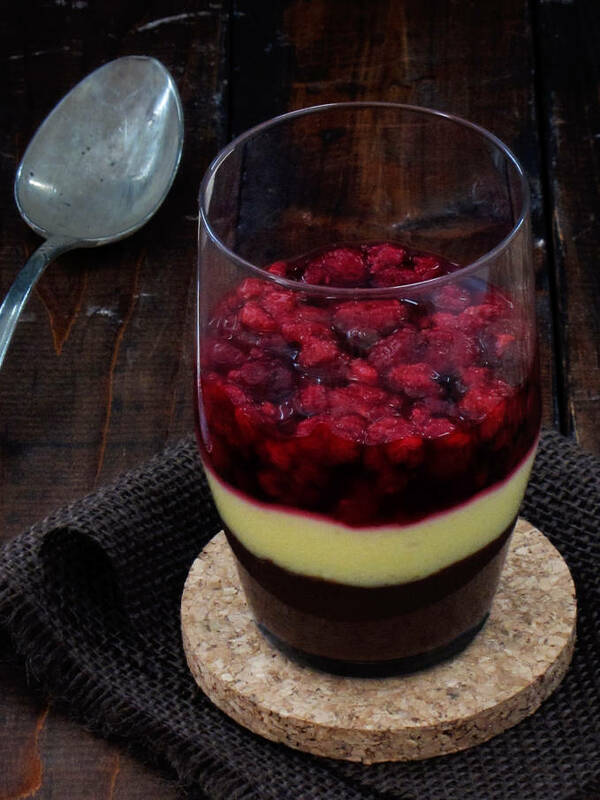 Top the puddings with the raspberries. And omg I love Disney World! Until I saw your pictures and post, I think I forgot about my own love of pudding. Tonight may be the night I introduce it to my girls. They already love Disney — pudding is more affordable! I feel for your lack of pudding. I haven’t had pudding since about exactly ten months ago. Pudding, one of the things every kid loves. But, yours has no comparison, just so elegant and beautiful! The second pic is just so amazing! I wish I had wood tile somewhere in my house to use for photography. 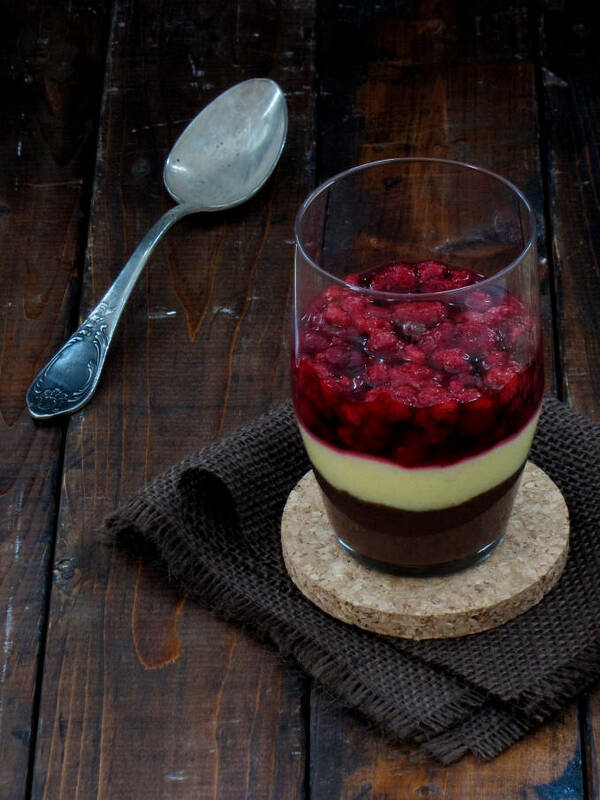 I’m not a big fan of pudding but your pictures/recipe makes me want to try it again! Yummy looking! I never had pudding before… ever! It doesn’t seems to be something that appeals too much to me. Isn’t it like pastry cream without the pastry? Haha. Hmmm… maybe it’s time for me to try it. 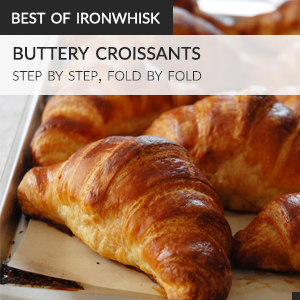 I usually make mine with flour instead of cornstarch so I’m going to give yours a try and see what the difference is. I’ve never came across a store bought pudding that I like. But I guess you’re right, they are not “bad”, just that the homemade ones are WAY better. :) Yours look particularly gorgeous with all the layers. Lovely homemade pudding. I’ve never been a big pudding person, except I’ve always loved rice pudding. But a homemade chocolate pudding sounds pretty good! I love how you started your post. I often make my own pudding (but I still crave those little peel back plastic cups!) They are each special in their own right. Thank you for sharing your creativity with me! I’ve been baking all day, and I’m eager for sleep, but I’ll now be dreaming sweet and delicious dreams thanks to you! I hope you have a wonderful Monday. Hi Ilan, I was looking for a custard recipe for eclairs I found on your website. This pudding turned out very well, thick enough (maybe a bit too thick for eclairs). You can taste vanilla flavour, but in my opinion a bit too much sugar. I loved your recipe and instructions. Thanks.